Considering the events not only of the last few days in Ukraine, but stretching back some 20 years, Europe is a hotbed of activity for politics, civil unrest and conflict. With Russia on its doorstep, the dynamics within Europe are getting ever tenser, complicated by Russia’s gas advantage. I thought I’d explore some maps of Europe to try and understand these dynamics further. 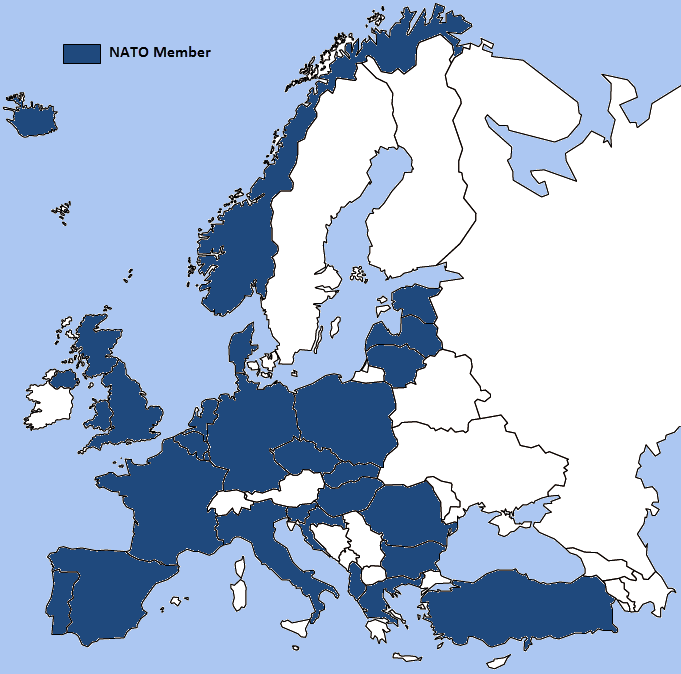 The North Atlantic Treaty Organisation was set up during the Cold War between the West and the USSR. Although its role has somewhat changed since the break up of the Soviet Union, it remains a reminder of that difficult period. As such Russia sees an increasing number of its neighbours joining NATO which can only increase its discomfort. 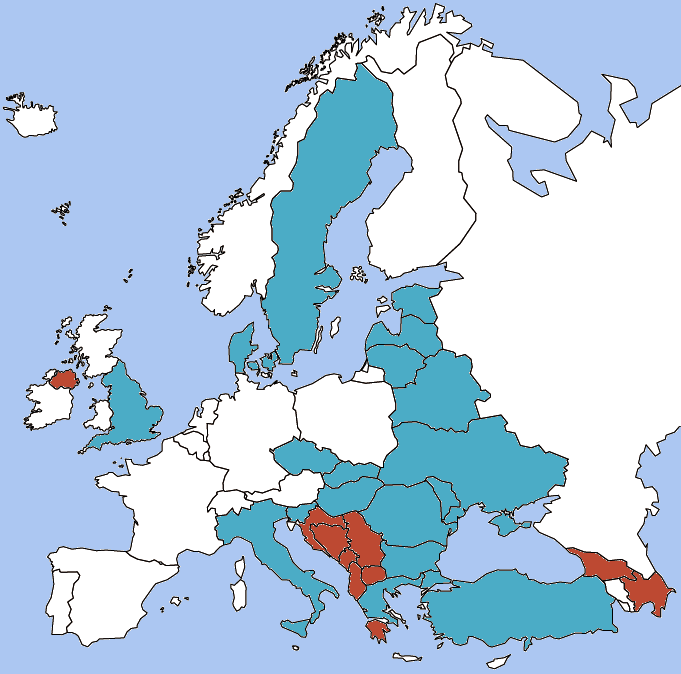 Although Britain is currently deep within an in/out debate with regards the EU, other countries are fighting to get in. 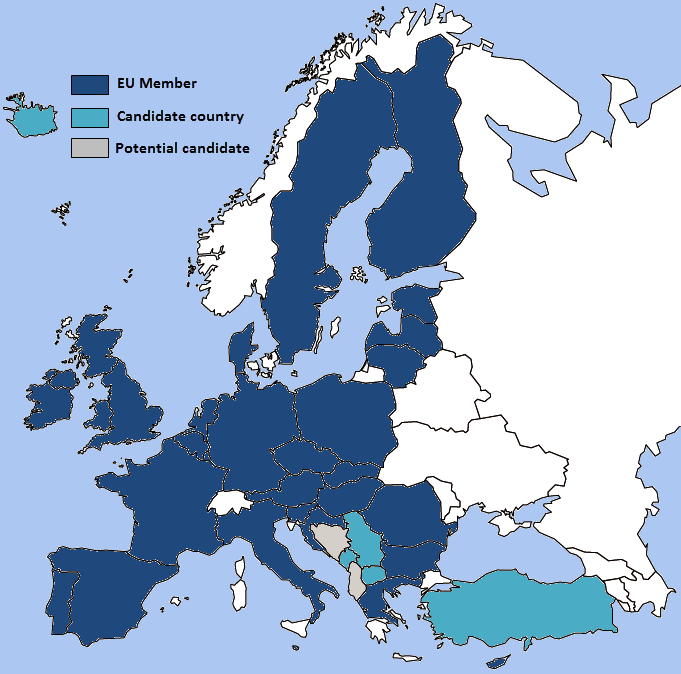 In particular, former Soviet countries are keen to embrace Western ways and identify membership of the EU as a major achievement and line in the sand from former times. More of Russia’s western neighbours are snubbing Eastern ways and favour integration with the former enemy. Russia has a very strong position within the European gas market, accounting for around 30% of total gas dependence. Although alternative sources are constantly being explored, 30% can materially affect prices. These statistics are from 2004 and are therefore fairly old. However, their significance remains. 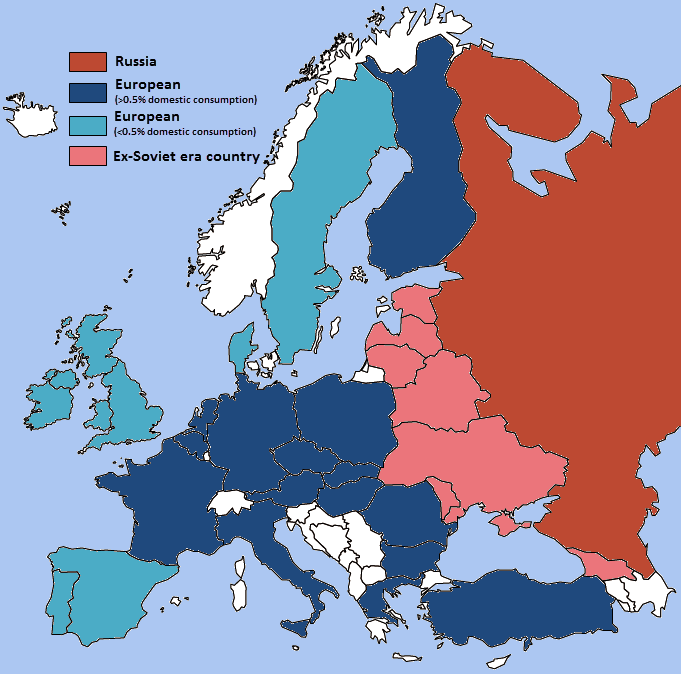 Countries with dependence on Russian gas that are ex-Soviet countries: Ukraine, Belarus, Lithuania Moldova, Latvia, Georgia, Estonia. European countries with dependence on Russian gas greater than or equal to 0.5% of total domestic consumption: Germany, Italy, Turkey, France, Austria, Poland, Netherlands, Greece, Belgium. From Serbia to Syria, Europe and the Middle-East is at best a basket-case of tension. Civil unrest, aggressive neighbours and religious conflict pepper the landscape. Just searching for “unrest” yields hundreds of results which suggests Europeans are a “bolshy” lot (etymology unintended). But countries in such close proximity, in the middle of the geographic cold war, are bound to see conflict.